Sitting atop the old L&M Bindery, Hero Solutions occupies a 4500 sq. foot fabrication shop equipped to make anything that you can dream of - literally. Our facilities include a full wood shop, milling station, industrial sized paint booth, and over 3000 sq. feet of dry storage for set pieces, props, and gear. We've been manufacturing since 2010. Contact us for a quote today. In addition to the Hero Shop, we manage an additional 17,000 sq. feet of customized work spaces for 25 other artists. 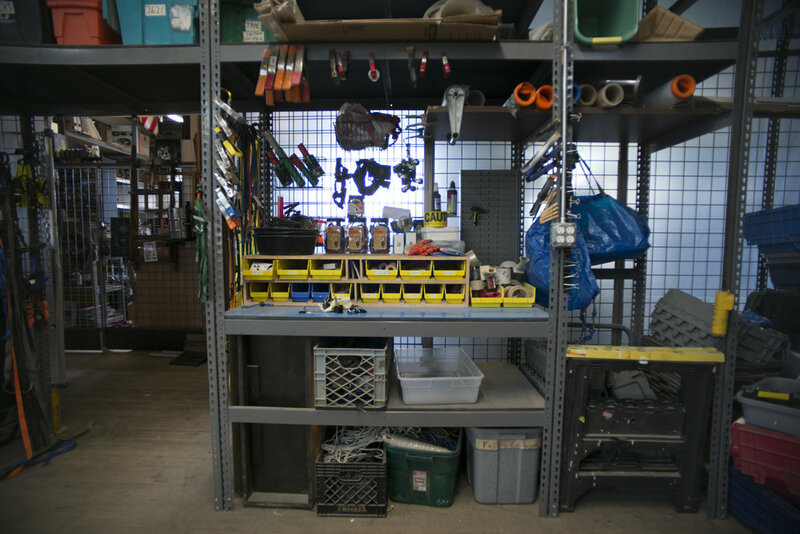 Welders, Art Directors, Sculptors, Painters, Jewelry Makers, Special Effects, Model Makers, and Museum Curators are just a few of the individuals and companies that we have in our building. We often collaborate with these artists and technicians to ensure that any project is executed with a keen eye for efficiency, creativity, and excellence. If you can dream it, we can make it. We'd love to hear from you.